And, as was the case in the first industrial revolution, when almost every aspect of life changed beyond imagination, so it will be in the near future, according to Martin Reeves (pictured), one of local government’s most renowned digital experts. In many ways, that revolution has already begun. Pierre Nanterme, the chief executive of global management consultancy Accenture, told the 2018 World Economic Forum in Davos that digital was the main reason for the demise of half of the largest US corporations since 2000. The internet killed the analogue star. Yet England’s local government is only just starting to react and, according to Mr Reeves, chief executive of Coventry City Council, it now faces an increasing risk of becoming irrelevant. 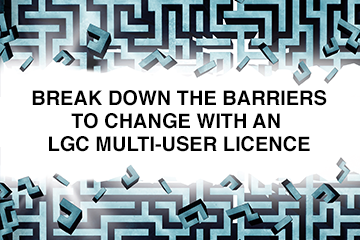 Mr Reeves told LGC the current model of local government, formed in the Victorian era, is unlikely to survive as digital irreversibly disrupts the way traditonal services are delivered. He called for the sector to adopt a “challenging and championing” take on digital services in order for it to stay relevant as the very institution of liberal democracy shows signs of collapse. With this in mind, Mr Reeves recommended local government reacts by staying true to its founding mission and “core values”. “To deliver for vulnerable people across our communities should never be compromised, but the way in which we open up the solutions to deliver those services should be through the power of digital in all its forms,” he said. Mr Reeves also called on the sector to adopt a “challenging and championing” take on digital services in order to stay relevant. Coventry has less reason to fear than most, as the city’s chamber of commerce has called it a “leader and driving force” in the UK’s digital revolution: Coventry became one of the first cities to roll out full-fibre broadband and was also chosen this month to become one of the first 5G infrastructure testbeds. Part of the reason for the city’s digital success, Mr Reeves said, was the council’s collaboration with local universities and industries. The rest was due to the council’s digital strategy (“our vision”) and focus on delivering a city for the future. Mr Reeves argued this was a model that could work for every place, not just cities with world-class universities. “Places that might not appear on the top of the list for innovation will still have pockets of start-ups and entrepreneurs that are working in big data and the digital space - it’s about going out and finding them,” he said. Adur DC and Worthing BC did just that when they decided to set up their own small team of coders to build their own applications inhouse “very quickly”, which enables residents to communicate more effectively with their council, for example about bin collections. Mr Reeves said local government leaders and officers could do worse than to look to their local private sector partners when recruiting technical experts. “Great innovators should be brought into the tent, not left outside,” he said. One means of doing this lies in ‘hackathons’, whereby innovators are given council data in order to find new ways of improving areas and services. This can be done in an open arena with local volunteers, or with private sector partners. .
FutureGov is a technology consultancy which works with councils to help improve local services. It usually starts by putting directors and frontline staff together to reflect on a particular service’s quality and design. Beatrice Burks, studio director at FutureGov, said: “It’s eye-opening because we ask the same questions of frontline staff as we do the directors and there are some widely different opinions there. Services that are deemed in need of overhaul are then schematically broken down into core, basic tasks and rebuilt using digital tools, creating a more efficient and communicative service for the end user. According to Mr Reeves, these reforms and efficiencies are inevitable and council officers must wake up now to the potentials technology can bring. “The future public service model is going to be about accessing and optimising all of this kit so that people can do more for themselves. I am incredibly excited by that,” he said. Excellent piece. I was particularly taken by the Buggles reference!